As the drug abuse epidemic evolves, so do the tools needed to understand and treat it. Accordingly, Epidemiology of Drug Abuse takes the long view, cogently outlining what the book calls "the natural history of drug abuse" and redefining its complex phenomena to reflect our present-day knowledge. Twenty-six eminent contributors discuss the state and future of the field, balancing the practical concerns involved in gathering drug abuse data with the ethics of using the information. 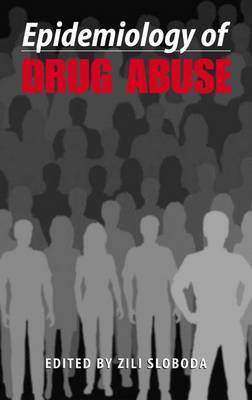 With this multifaceted approach to the subject, Epidemiology of Drug Abuse provides researchers and educators with a reference that sheds significant light on infrequently covered areas. In addition, its breadth and accessibility of coverage make it a teaching text suitable to courses in epidemiology, public health, and drug abuse. "Many who promote a demand-reduction philosophy for solving the nation's substance abuse policy cite a disparity between the funding levels for interdiction versus those for demand-reduction activities. In part, the disparity can be attributed to an ability of the interdiction side to quantify its needs and its successes. Epidemiology may be the best tool at our disposal for decreasing this level-of-resource disparity by leading the field toward more quantification- and evidence-based interventions. Sloboda's work may help to accomplish this very worthy goal."